The UKDFD is an initiative by members of the metal-detecting community to promote good practice within the hobby. 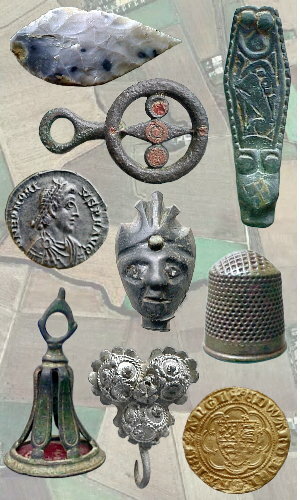 It is an easy-to-use, friendly and supportive online facility for detectorists to record their finds and ensure that the information is preserved for future generations. Those joining the scheme have immediate access to the database for uploading details of their finds, and simple instructions are provided at each stage of the process. A personal gallery is created for each user on entering their first record, which, as it grows, may be browsed or searched in the same way as a personal database. Items submitted are reviewed by the scheme’s own team of experts and full identification details are provided or confirmed as soon as possible. Users are also able to record their detector make and model, so that performance in different circumstances, and for different types of find, may be assessed. Enjoy exploring our website, and discover for yourself what makes recording your finds so rewarding.